$23 A weeds worst enemy. 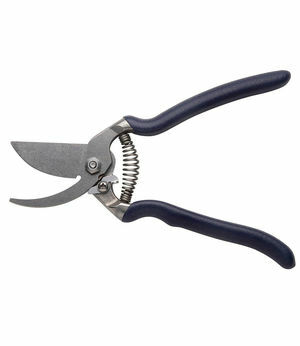 Long enough to penetrate deep into soil and sharp enough to cut stubborn weeds off at the root. 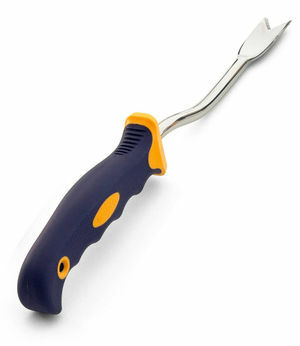 Tang extends into the handle for added strength and wont bend. Durable stainless steel resists rust. 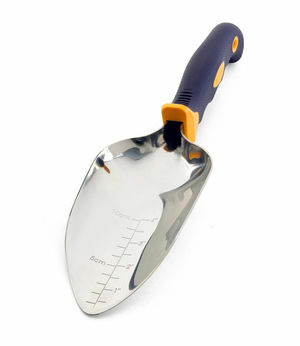 $27 The narrow scoop is designed for tight spaces and smaller jobs, like re-potting. The measurement gauge is your guide to planting depth. Tang extends into the handle for added strength and wont bend. Durable stainless steel resists rust. $29 An absolute essential for every gardener. The wide scoop helps you move more dirt. 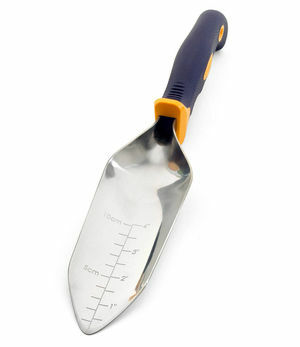 Features a semi-sharp tip that easily penetrates soil and a measurement gauge for planting depth. Tang extends into the handle for added strength and wont bend. Durable stainless steel resists rust. $30 Stubborn soil is no match for this garden tool. 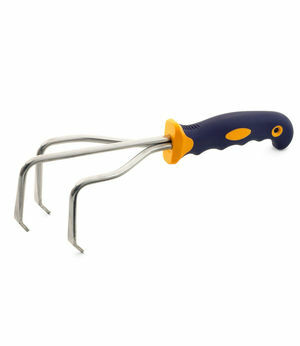 Pointed, staggered tines easily break up compacted soil and clay, dislodge stones and clear away weeds. Tang extends into the handle for added strength and wont bend.